Product code: ES2453 Categories: Sold Items, Sold Rings. Sometimes an antique ring comes along that is so charming it would suit any finger and here is just such a ring. 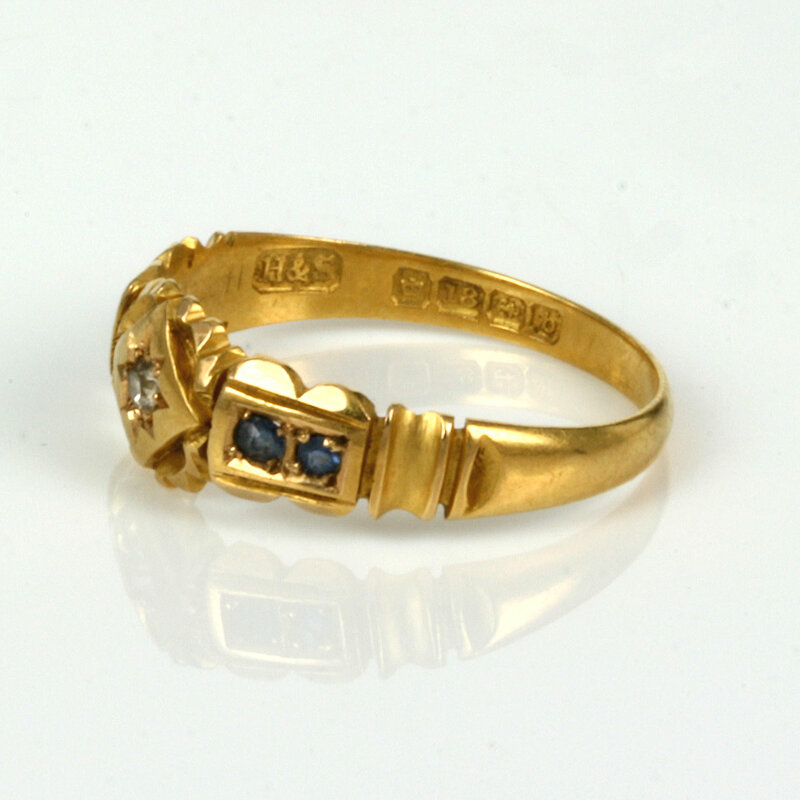 Made in 18ct gold in Birmingham in the early part of the Edwardian period of 1901, the ring is set with one diamond and four sapphires in such an attractive design. 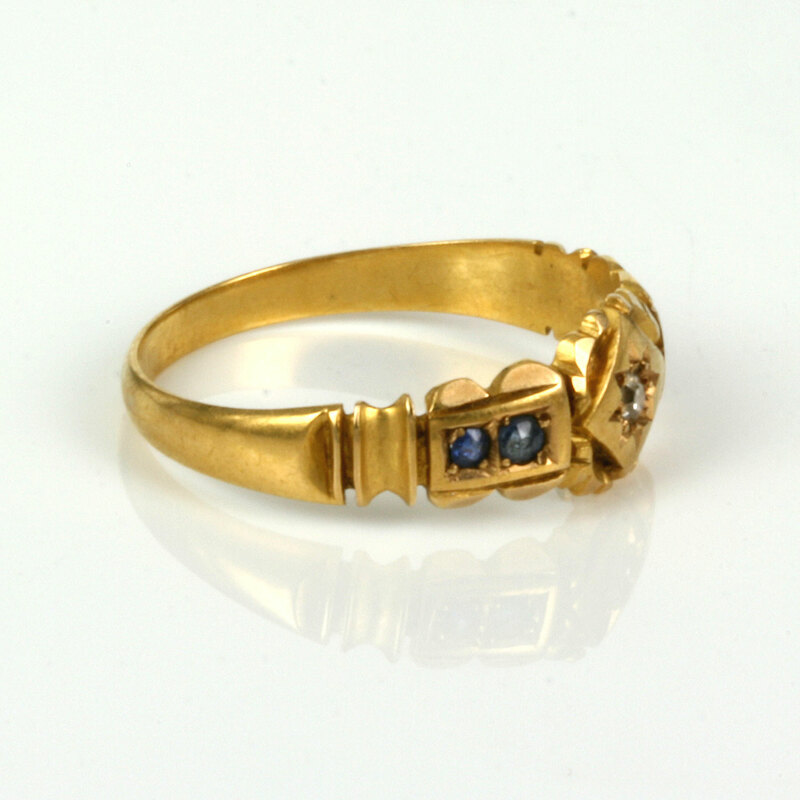 Like many other antique rings, it was not simply a case of setting the diamond and sapphires into a band, rather it was also about the design of the ring as a whole that really works well. The diamond is set into its own section in the centre with a scalloped edge and then the two sapphires set on each side have their own distinct section as well. Where one sapphire starts across to the other side, this distance measures 15mm across and at the centre of the ring where the diamond is set, this section measures 6.9mm wide. Overall this is such a gorgeous and sweet antique sapphire and diamond ring that is simply perfect for any occasion and finger and so comfortable to wear all the time.